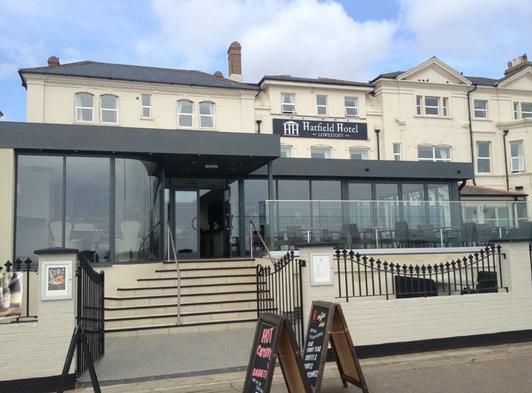 Welcome to the Hatfield Hotel where our main aim is to provide our guests with a warm and welcome stay where each and every guest is made to feel special. The hotel is situated just a step away from the magnificent beach and retains a truly magical feeling for anyone who loves the sounds of the sea. Lowestoft has so much to offer and the town oozes character, charm and a friendliness that will not go unnoticed. Each and every one of our bedrooms has been carefully designed to offer our guests a perfect night's sleep so you can really make the most out of your visit to Lowestoft! All of our rooms are en-suite and some overlook the gorgeous beach and take it from those who have had many a stroll along the seafront come rain or shine - it is truly breathtaking. What better way to wake up in the morning listening to the gentle sound of the waves .... we highly recommend an early start if you can so you can enjoy the beautiful view of the dawn sun rise. Our bedrooms are all about comfort - soft mattresses making a dreamy night's sleep; a kettle with tea/coffee and hot chocolate for those colder days making you really feel at home; large televisions so you can relax and enjoy some TV (however we hope we can help you make the most of your visit so there will simply be no time to watch TV!). If your room does not have a sea view all you need to do is visit the lounge/restaurant and soak up the view with a drink of your choice (how about a glass of Riocha on a winters day or a crisp, cold Sauvignon Blanc on a Summers Day!). We look forward to welcoming you to our fantastic town and the Hatfield Hotel very soon.